Previously on The Four… catch up with episode 29 recap! 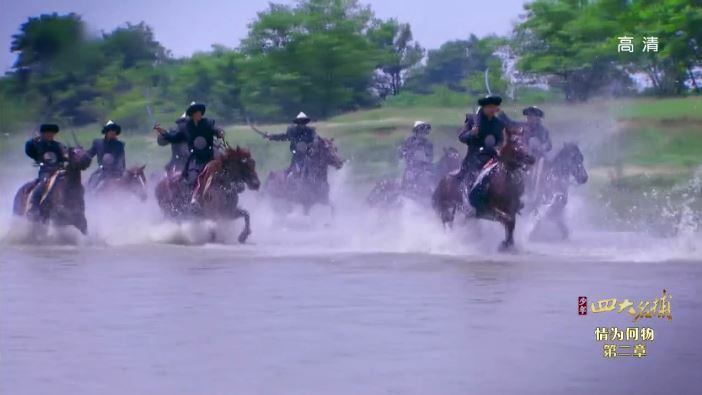 Li Mo uses her skillz to get the horses all to go crazy and knock Mo Er Chi & co. off their backs. The trio take this opportunity to ride away. Mu Xue also decides to follow Li Mo and Wu Qing to Shen Hou Fu instead of remaining in Qing Ge tribe. Meanwhile some government folks visit Li Mo’s hometown to confirm her identity with her dad. Her dad reveals what he knows – that she died while falling off a cliff. Hmmmm something doesn’t smell right. I think Li Mo is going to blow her cover real soon. At Mrs. Dao’s residence, Leng Xue tries to get Ji Yao Hua to return to Shen Hou Fu, but she’s all like no way. She explains that she is taking care of him completely out of her own will. 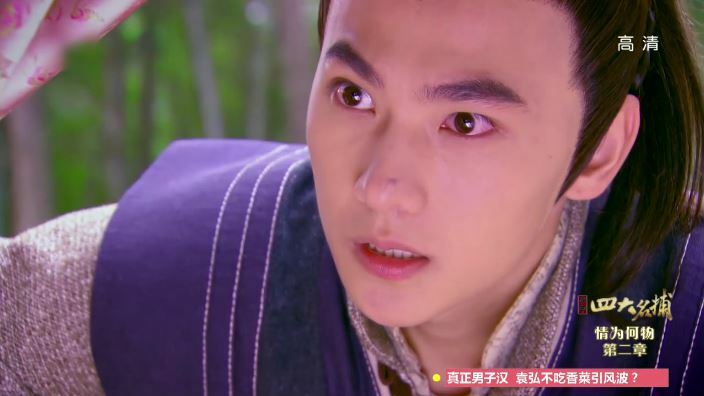 No matter what he says, Ji Yao Hua continues to insist on staying with him. What I don’t understand is why Leng Xue has not shaved. I get that he is weak and what not, but no reason why he has to look scrubby right? Get your act together dude! Really though, Leng Xue, you better hurry because your bff is about to steal your girl or die trying. Li Mo, Mu Xue and Wu Qing escape to some random abandoned house and decide to make another attempt to jolt the latter’s memory. 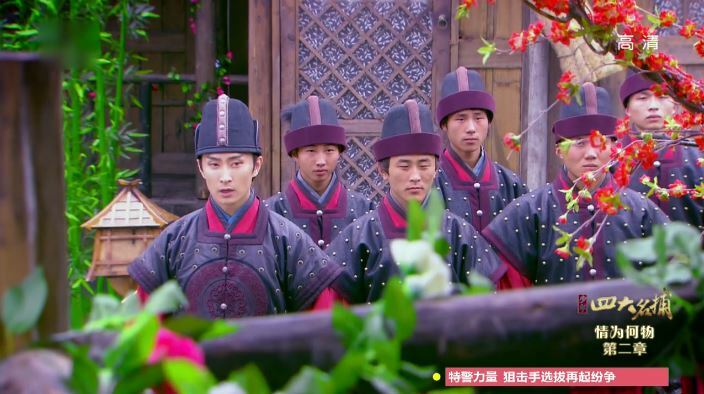 To do so, Li Mo gets dressed up in a wedding outfit (where did they find this stuff?) and they reenact the scene when Ru Yan was married off to ASG. 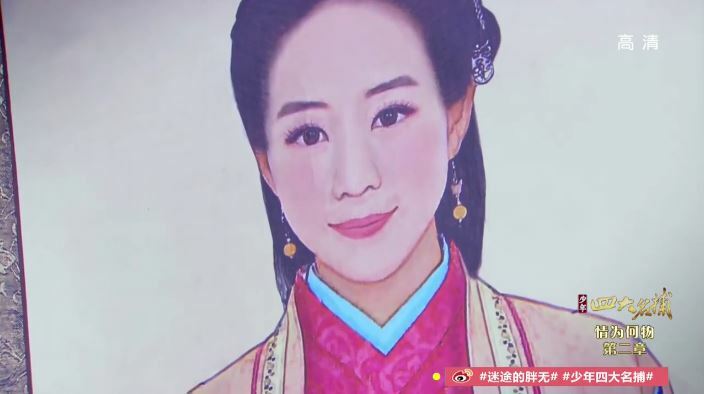 While Li Mo is getting dolled up, Wu Qing becomes totally enamored with her beauty. 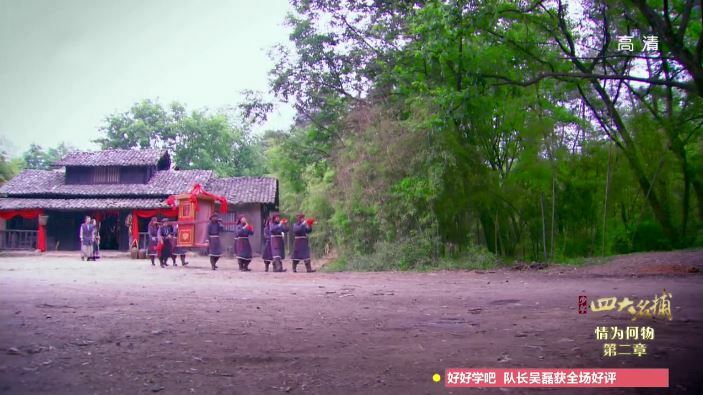 HOWEVER, once Li Mo gets carried off, Wu Qing suddenly starts to remember and dashes to her calling Ru Yan’s name. Yay! Memory recovery! But Wu Qing is unsure that it is really better that he remembers because it is like a nightmare to him. where did they get these people from? Shortly after the three arrive at Shen Hou Fu and everybody is all like wait you didn’t meet up with Ji Yao Hua and Leng Xue? 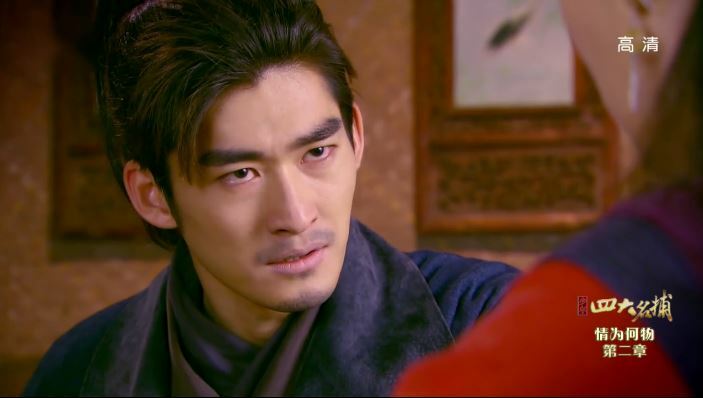 So of course Li Mo wants to go find Leng Xue, but Zhu Ge would not allow it. However, once she states that she loves Leng Xue, Zhu Ge has no choice but to let her go. Wu Qing learns of this declaration and is filled with disappointment, but what can he do, right? 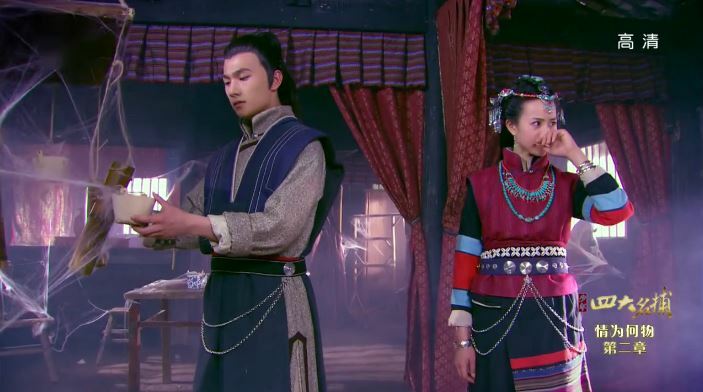 He offers to go along with Li Mo, but she tells him to stay and take care of Mu Xue instead. Haven’t had enough? Click for episode 31 recap! Wu Qing concludes that the abandoned house is actually abandoned after examining some cups. But seriously though there are spider webs everywhere. Chun Tong tries to invade Mrs. Dao’s residence but fails miserably. ASG is also upset at him for poisoning Leng Xue. Sorry but could you remind me again, what’s Li Mo’s cover? 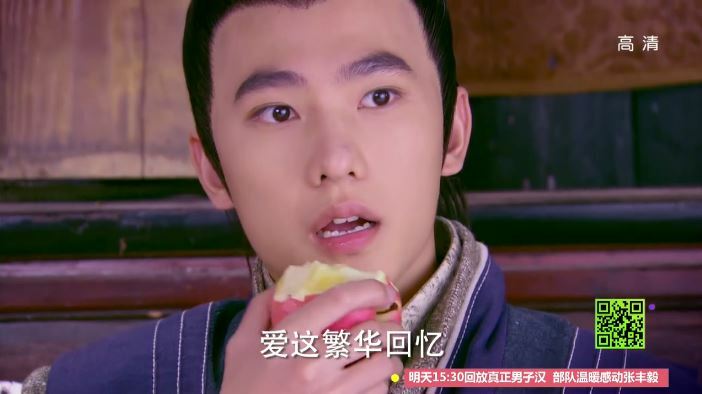 And dayummm, Wu Qing’s fight for Li Mo’s affections lasted a grand total of 1 episode?! Cool. 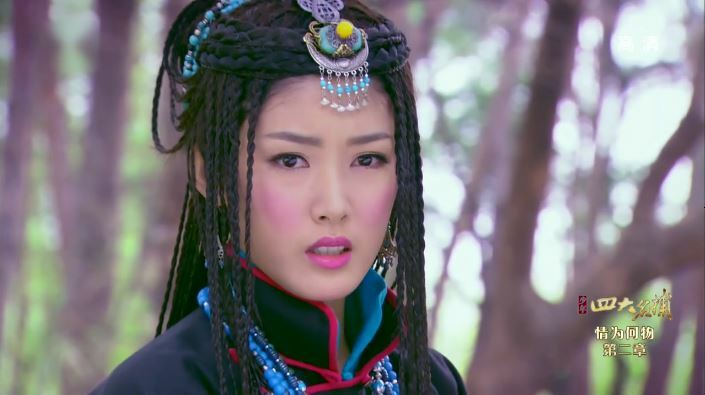 Remember how Li Mo was selected as one of the concubines to be for the Emperor? Then she ran away and the Four saved her by hiding her in Shen Hou Fu.